This is my 4 year old's first ever animation. She made this herself. She wrote her own story, found all the characters she wanted to be in it and, once I had attached my camera to the PC and opened up Stopmotion Studio 4.0 she was able to position her characters, crounching down out of the way of the camera and then take a photo by pressing a button on the screen. It took us half an hour to make a 5 second animation but I was so proud of how well she concentrated, how seriously she took her story-telling and how excited she was when she saw the finished product. I had been on the lookout for a piece of software that would start to teach my daughter about computers - about cause and effect and the power of software. Stopmotion Studio 4.0 by Honestech may not seem like the answer to this problem but is certainly was. The software is so easy to use and it really does help to teach children about the power of software - press this, click this and hey presto, a movie! Creating your own animation also helps imagination and story-telling. My daughter has already decided the next animation she wants to make - a caterpillar turning into a butterfly, all made out of play doh. This sounds pretty adventurous but I'm sure she will manage it. And when she does, I shall share it with you. 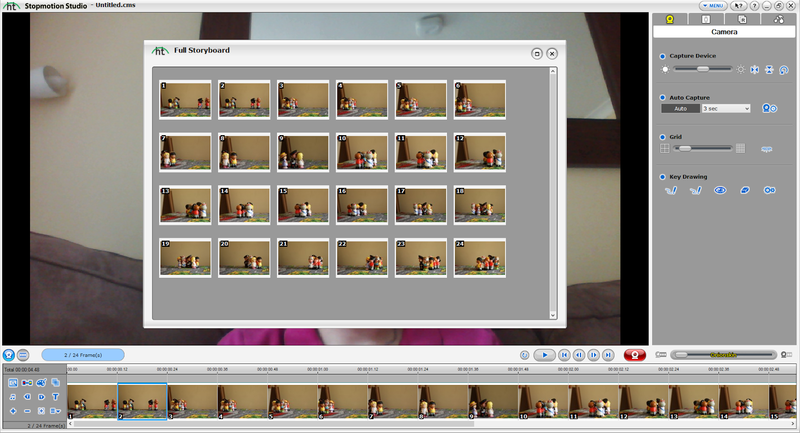 Stopmotion Studio 4.0 isn't just limited to children though. It is a very powerful piece of software that I think I will enjoy using too. I can see it being a way to produce great entries into competitions, or to complete homework projects with something that little bit different. You can take photos by connecting your camera to your PC (I'd recommend using a tripod to ensure the photo is in the same position for each frame), using a webcam or by scanning in photos (you can even connect directly to a scanner). The software is very powerful (admittedly, my daughter hasn't really started to explore all of the different options but I am sure we will do). You can add sound, titles and text captions. You can also use 'green screen' technology to add funky backgrounds - I can't wait to try this feature out. Perhaps the most handy feature is the ability to adjust the transparency while you are positioning your next frame so that you can see what the last frame looked like in comparison. This is very handy for ensuring you haven't moved your characters too far. You can also adjust the number of frames per second which can give a very different effect. If you are prepared to invest the time and effort in tuning, editing and perfecting each of the frames in your animation I am sure you could make something really very special with this software. 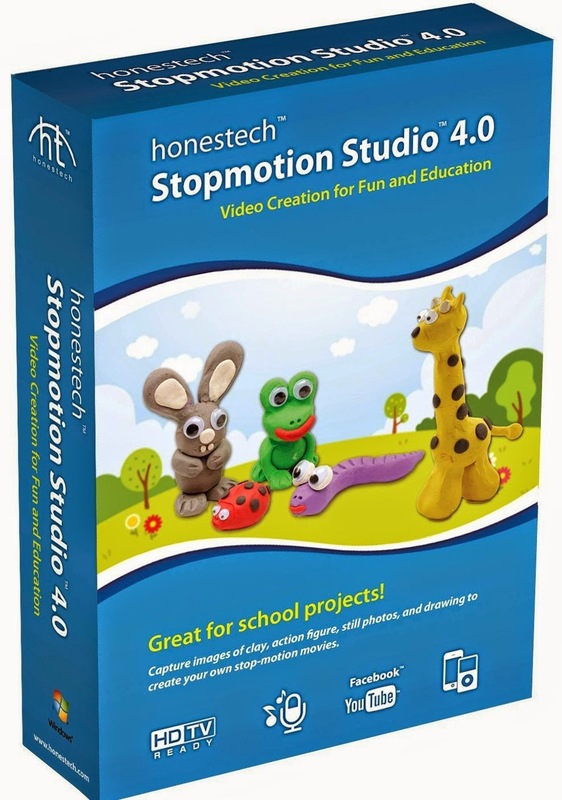 Stopmotion Studio can create high definition videos in resolution up to 1920 x 1080 (with an HD video recorder), and the completed stop-motion video can then be converted into MPEG-1, MPEG-2, HD MPEG and WMV formats, or MPEG-4/AVC format to watch on your portable device. My daughter and I loved the fact that we could upload her animation to Youtube and Facebook directly from within the software so that all of our family could see it and share it. They were all very impressed at her skills! Stopmotion 4.0 costs around £59.99 and I think it is going to be an amazing application to have in our house over the coming years. Honest Technology - Digital Multimedia Software Company / Copyright © 1998~2019 Honest Technology. All rights reserved.